I have always been fascinated by medieval woodcut artwork since an early age. 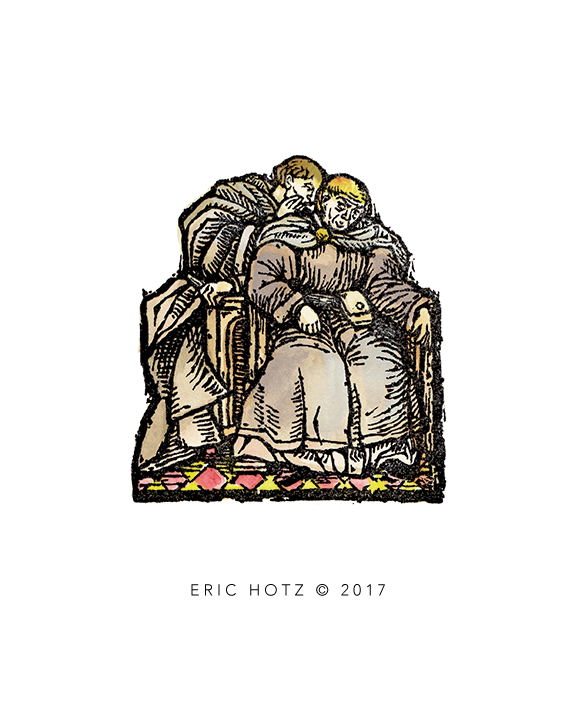 Over the last 30 years I have created many "medieval" style woodcuts for a variety of clients in a large number of their publications. It is surprising just how well the style works with today's publishing. Heraldry. 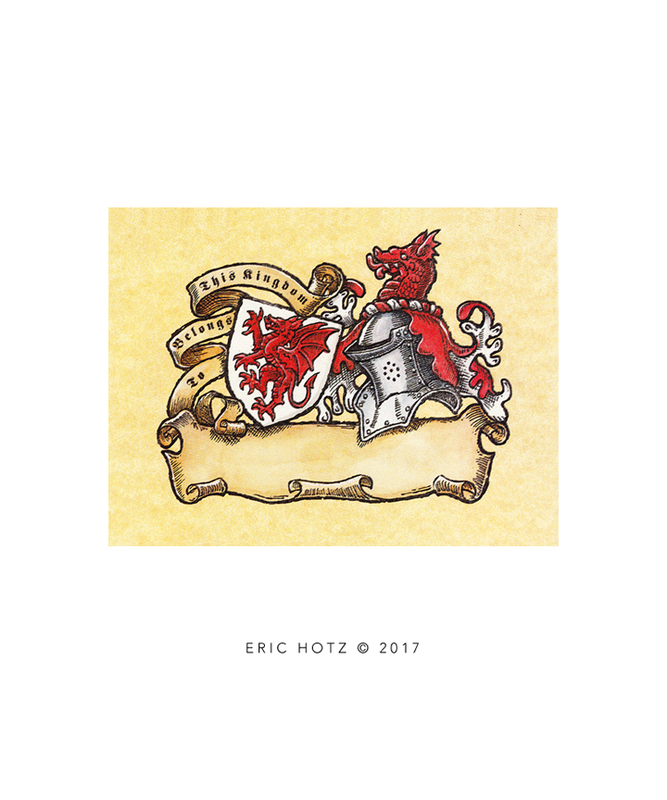 I have created many heraldry pieces over the years for many publishers. This artwork was commissioned by TSR and was designed as a title page piece. The original art was hand-colored and then overprinted by hand with black ink similar to how Andy Warhol worked. Quite literally, this is the product of going to art school for 5-years and specializing in print medium. The Fruit Seller. 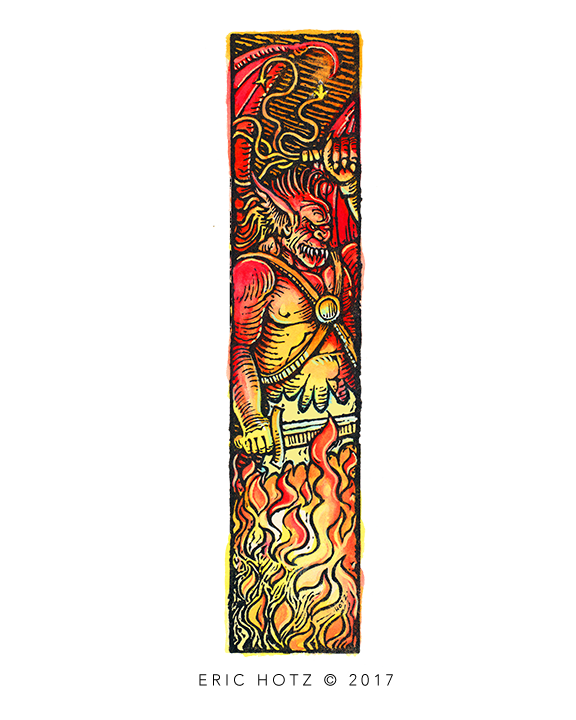 I was commissioned to create 8 color woodcut pieces for a book. The original artwork now hangs on my studio wall. They were hand-colored and then were overprinted by hand with black ink. These pieces turned out well and resulted in a number of followup commissions from the original publisher as well as from other publishers. The Scribe. 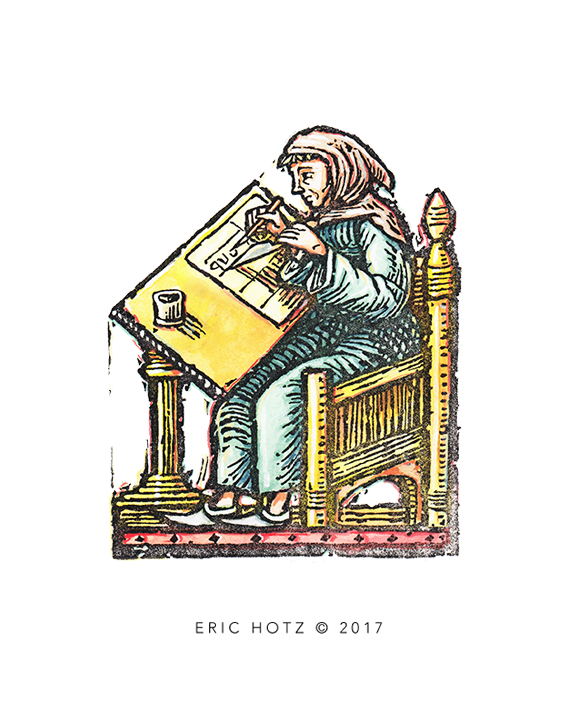 This color woodcut image was commission for a medieval game book. Along with the 7 other commission pieces, this piece stands out from the others. Contrary to what most people assume, my color woodcut pieces are not colored pieces. The color is applied by hand first and then the black ink is hand printed over the top of the color. Llewellyn Publishing cover art. 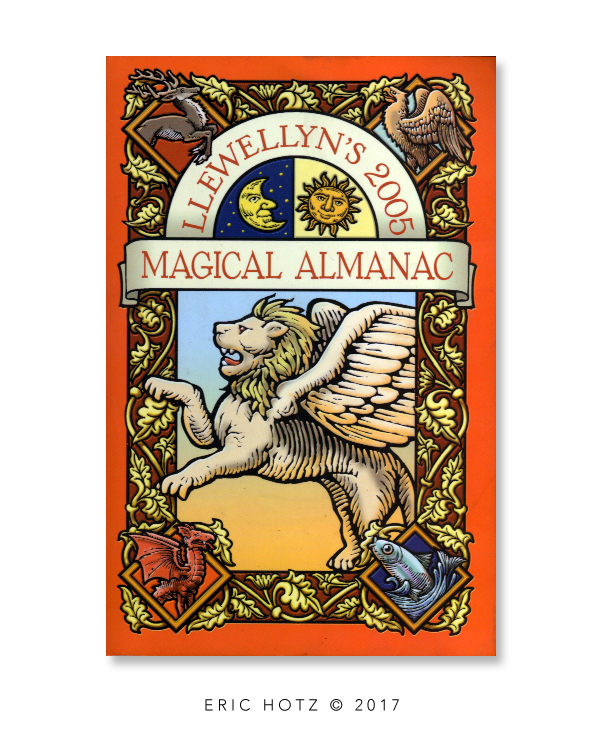 I was asked to render the cover art for Llewellyn's almanac in 2005. I had created a number of woodcut images for Llewellyn Publishing up to that point in time but it was still a privilege to be asked to work on their annual publication. Book cover was roughly 5.5x8.5 inches; artwork was rendered at x1.5 of final size. ​The Balrog. This piece proved extremely popular with art directors, leading to more commissions from other art directors/publishers. The final piece has a small misprint near the top right portion of the artwork. The original art director really liked this minor flaw as it was an authentic mishap resulting from the printing process. Original art is 10 inches tall. 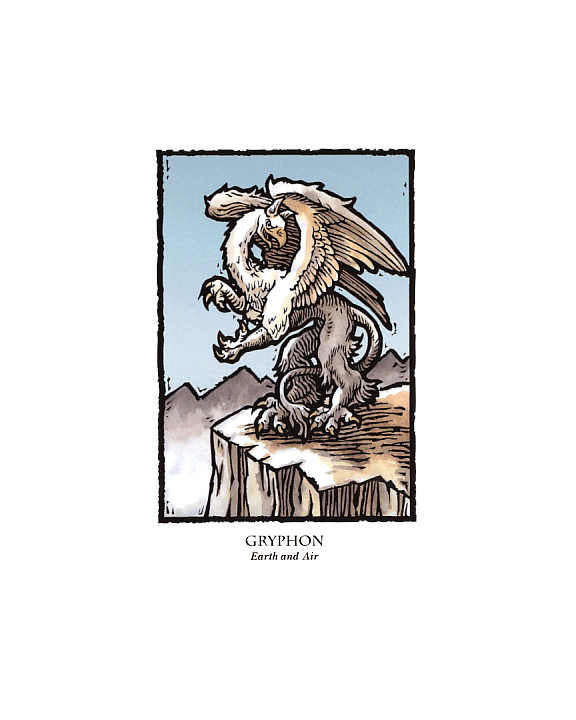 The Gryphon. I was asked to render an entire tarot card deck for Llewellyn, a tarot card deck with a total of 45 cards, each depicting an animal, either real or mythical. I was given 3-months to complete the artwork, and despite having to create only 45 cards, it proved a challenging assignment. Still, I was pleased with the final result and really enjoyed the assignment. The Golden Dragon. 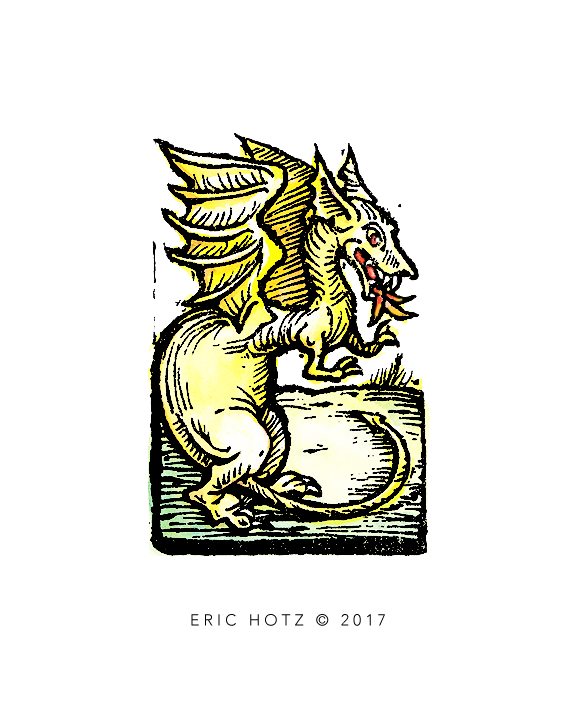 This commission, along with several other woodcut illustrations, was used as pure decorative art in a book, I created a number of bestiary illustrations over the years but rendering them in woodcut style, I feel, gives the best results. Christmas Card. 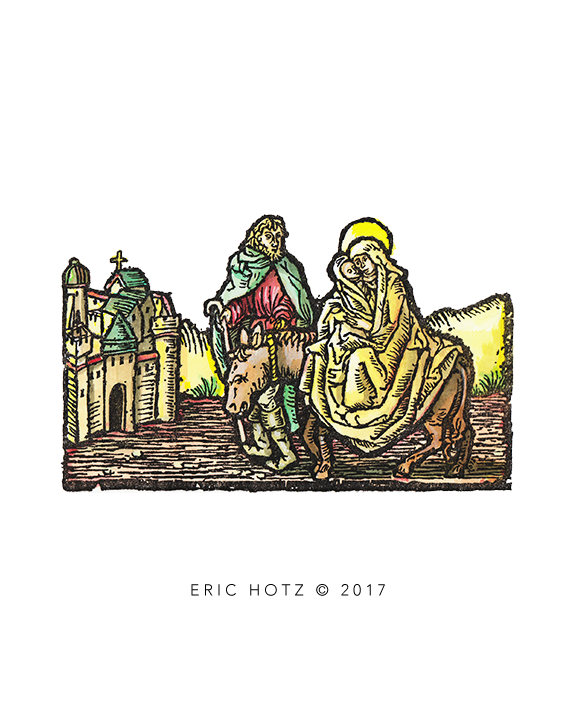 I was commissioned to create a Christmas card for a publisher in medieval color woodcut style. I occasionally receive commissions for card art, usually for promotional purposes, and usually for Christmas time distribution. Although for Christmas, these projects usually come in during the months of July and August. The Toad. 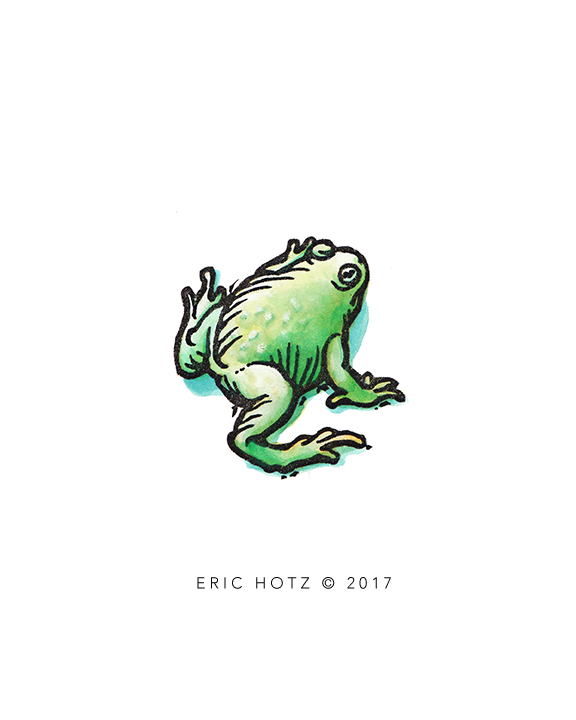 A publisher asked me to "quickly" render an image of a toad, which ended up being used on the title page plate of their new book. The final image was published smaller than 1.5 cm in size and was used as a pure design element, in black line without color. Conspiring. 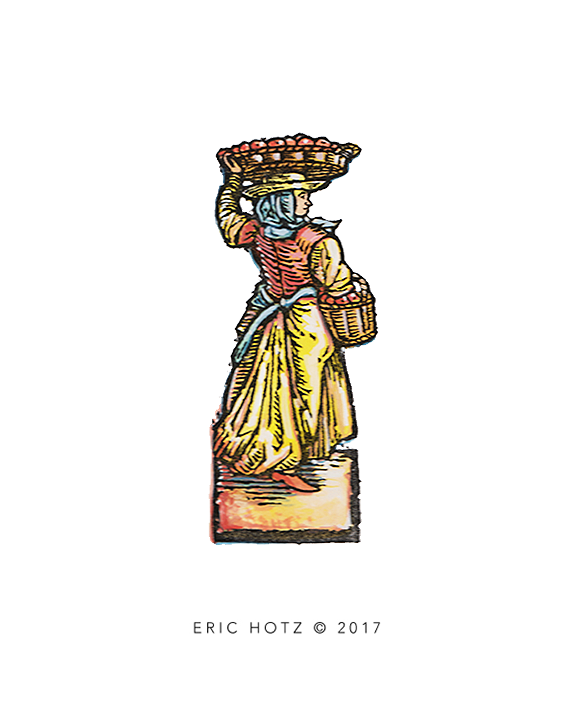 This was one of 10 color woodcut illustrations that I created for a clients book. The time to complete this artwork, from rough to finished color illustration was around 5 hours.